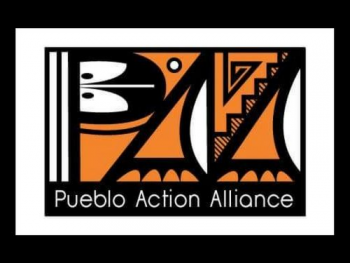 Pueblo Action Alliance was formed by several Pueblo people to promote Environmental Justice that impacts indigenous lands and its people. The organization has thus transitioned into an indigenous women led grassroots organization to forward feminist action in the Environmental Justice Movement. As women, mothers and daughters we are privileged by a matriarchal perspective; by internalizing the violence inflicted against Mother Earth, we can take action to protect her and ourselves. Currently, our work revolves around protecting the Greater Chaco region against oil and gas extraction. We raise awareness and teach our community how to become civically active in the environmental justice movement.